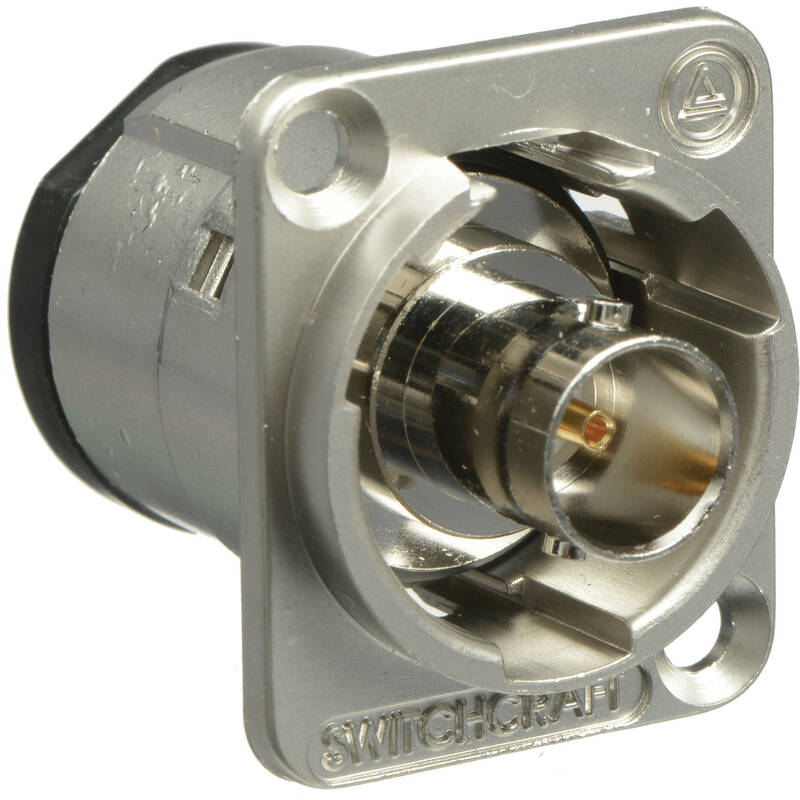 The nickel EH Series 75Ω Isolated BNC Female Feedthrough Jack Connector from Switchcraft features feedthrough termination, which means standard cables can be simply plugged into the back of your gear and then plugged into the back of the connector. This is an audio, video, and data-type connector that is integrated in standard panel-mount XLR housings. Once mounted, connecting your equipment to the back of this connector is fast and easy.